There’s a learning curve to running any successful business. But once you begin to rely on past achievements or get stuck in outdated thinking and practices that no longer work, you need to take a step back—and unlearn. This innovative and actionable framework from executive coach Barry O’Reilly shows you how to break the cycle of learned behaviors that were effective in the past but are no longer relevant, and limit or may even stand in the way of your success. The only thing that is constant is change. And it’s happening faster and faster. Disruption is ongoing, yet leaders tend to think incrementally about the future. Barry shows us a better way—the only way to disrupt yourself before someone does it for you is to “unlearn,” separate yourself from what has worked in the past in order to create an open space to shape the future. A great read for any leader in fast-moving environments faced with the realization that what worked in the past won’t work in the future. Many executives and entrepreneurs hang on to thinking and methods that were once useful, but may limit their future success. Unlearn proposes a powerful way to think about business leadership and organizational innovation. It will help you continuously challenge your mindset and behavior to adapt to the increasing complexity of a fast-changing world. 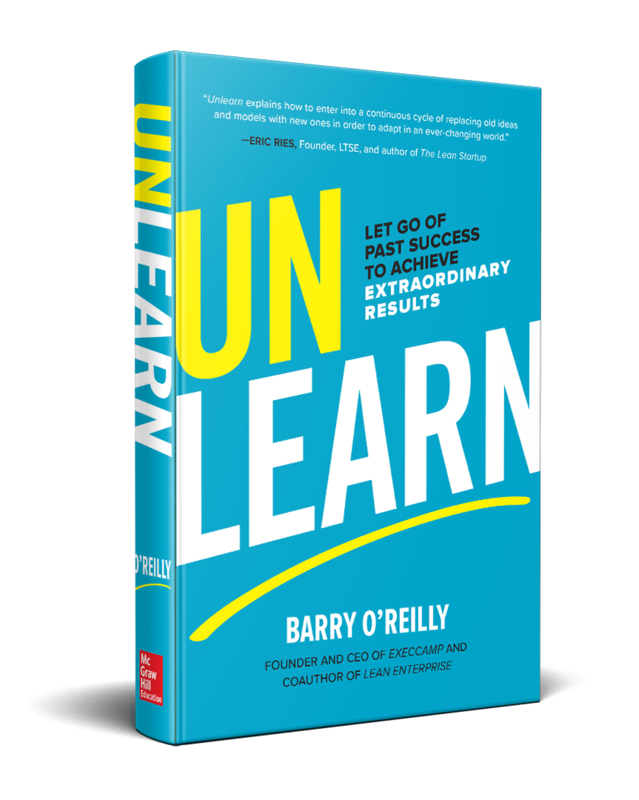 Apply the lessons in Unlearn and unlock the full potential in yourself, your teams, and your organization. The book is going through the final editing and production steps so will be published very soon. It's available for pre-order now on Amazon which will get it to you as soon as it's ready! Sign up to my newsletter to be the first to get the book and find out about special launch events and promos! Thank you! Please check your inbox to confirm the email subscription.